Sinn Féin leader Gerry Adams has said Martin McGuinness was a pivotal, central and crucial figure in the peace process. Mr McGuinness, Northern Ireland's former deputy first minister and an ex-IRA commander, died overnight at the age of 66 after a short illness. Speaking on RTÉ's Six One, Mr Adams said Mr McGuinness had great humanity, was respectful and kindhearted, but he could be tenacious and assertive too. "We wouldn't have had the peace process when we had it without Martin's influence and if by chance he had stood against it, then we wouldn't be where we are today, with all of its imperfections, so he was a pivotal figure ... he was a very crucial and central figure in that." Mr Adams said Mr McGuinness was rooted in and loved Derry, and his wife Bernie was the epicentre of his life. Hundreds of people gathered in Derry earlier to accompany the body of Mr McGuinness on his final journey home. Crowds braved snow and sleet in Mr McGuinness's native Derry to accompany his coffin, draped in a tricolour flag, from the funeral parlour to his home in the Bogside. Mr McGuinness died at Derry's Altnagelvin Hospital with his family by his bedside. He had been diagnosed with a rare heart disease in December. His funeral mass will be held at St Columba's Church, Long Tower in Derry, at 2pm on Thursday followed by burial afterwards in The City Cemetery. A former member of the IRA's Army Council, he became Sinn Féin's chief negotiator in the peace process. He led the party into power-sharing with the DUP in 2007 and served as deputy first minister alongside Ian Paisley, Peter Robinson and Arlene Foster. In 2011, Mr McGuinness contested the presidential election, which was won by Michael D Higgins. Mr McGuinness will be remembered as one of the most influential Irish politicians of modern times. One of seven children, his mother came from Buncrana and his father from Derry city. He left school at 15 and began an apprenticeship in a local butcher's. At the time of the Bloody Sunday killings by the British Army in Derry in 1972, he was a senior figure in the local IRA. Mr McGuinness always acknowledged he was a member of the IRA and never apologised for his IRA past. In 1974, he was released from Portlaoise Prison after serving a sentence for a membership conviction. 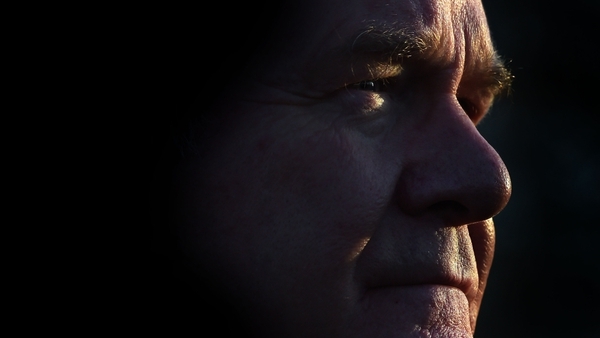 In his decade as deputy first minister, Mr McGuinness consistently championed reconciliation. Foes warmed to him. His closest political relationship was with Sinn Féin President Gerry Adams. His final political act was to resign as deputy first minister and collapse the administration over a row with the DUP. Mr McGuinness is likely to be remembered for embracing generosity as a weapon of choice. President Michael D Higgins led the tributes, saying the the world of politics miss the leadership he gave. Speaking this morning, Mr Adams said: "Throughout his life Martin showed great determination, dignity and humility and it was no different during his short illness. He was a passionate republican who worked tirelessly for peace and reconciliation and for the re-unification of his country. 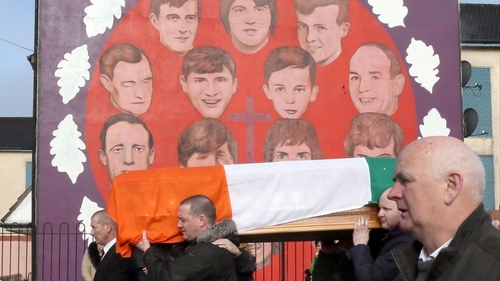 "But above all he loved his family and the people of Derry and he was immensely proud of both. "On behalf of republicans everywhere we extend our condolences to Bernie, Fiachra, Emmett, Fionnuala and Grainne, grandchildren and the extended McGuinness family."